Aluminium bi-fold doors are one of the most sought after Whitstable home improvements. They will not only transform the appearance of your home, but also the way you experience it! Our stunning aluminium bi-fold doors are designed to create a seamless link between your home and garden, enabling you to enjoy it in new ways and to have unrestricted access to the outdoors. Here at SecureStyle, we are experts in bi-folding door installations, and we offer the most impressive aluminium doors on the market. Our high quality sliding doors combined with our incredible customer service makes us a highly regarded double glazing installer in Whitstable. 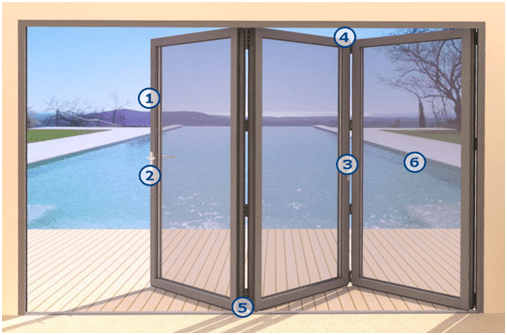 We are here to help you with your home improvements, so read our guide to aluminium bi-fold doors in Whitstable and discover the features and benefits they offer. Our aluminium bi-fold doors come with a range of options so that the door we install is completely tailored to your Whitstable home. Depending on the space available, you can choose the number of panels in your new doors, making them the perfect fit for your home. We also offer a selection of configuration options, helping you to create a door that is not only stunning, but also practical. You can opt to have your doors opening from the left hand side, the right, or from anywhere in between. Whatever works for you and your home best. When it comes to style, our aluminium bi-fold doors simply excel. The amazing feature they create in your Whitstable home is enhanced by the fantastic variety of colour finishes available. You can choose from our KL range, our standard white option, or our sublime RAL dual colours. Dual colours for your aluminium bi-fold doors enables you to choose a shade for the outer frame that complements your home, whether you are creating a bright statement feature, or a blended, traditional look. Then, you can have a different colour on the inner frame to tie in with your interior décor, ensuring that your new doors are the exact match for your property and reflect your personal tastes. With any opening to your home, security is a priority consideration. 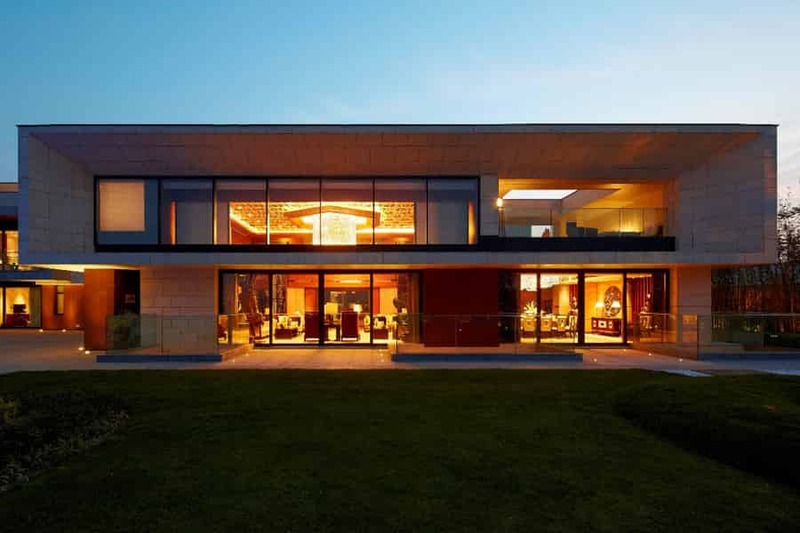 Our aluminium bi-fold doors are manufactured by ALUK [link] to the very highest standards, ensuring that you get super strong and robust doors that incorporate the very latest security features. Our aluminium bi-fold doors are fitted with high security six point locking mechanisms to ensure that they are impossible to break into. We then also fit heavy duty shootbolts between the panels so that they cannot be accessed from the outside. All this is enhanced by the natural strength of aluminium, a material that is virtually indestructible. Our aluminium bi-fold doors will protect your Whitstable home against even the most determined intruders. They even exceed the standards set by Building Regulations [link], which is one of the many reasons for them being the favourite of architects across the UK. Of course, when considering your Whitstable home improvements, you want to be sure that your property will be kept warm and energy efficient. This is good for the environment as well as your household budget, so is an important factor in your decision. With aluminium bi-fold doors from SecureStyle, you can expect the most impressive thermal performance. Our doors are designed using state of the art technology by ALUK. They offer impressive thermal performance as well as weather proofing, ensuring that the elements are kept outside and even on the coldest of winter days, your home is still warm and cosy. Our aluminium bi-fold doors will stop cold air from penetrating your Whitstable home, and will help to keep warmth within. The benefit of this is that your home will be warmer for longer, so you could find that you need to use less heating. This in turn will result in lowered energy costs. Our aluminium bi-fold doors are designed to last for many years to come. They will never warp or rot, and the colour finish will never discolour, peel or blister. The easy opening glide system is designed to perform at optimum levels year after year, giving you efficient access to the outdoors. With our aluminium doors, you will only ever need to keep them clean for them to remain in perfect condition and operating at optimum levels. We are so confident of their performance, that we offer a 10 year warranty on our aluminium bi-fold doors. Aluminium bi-fold doors prices in Whitstable are so cost effective when you choose SecureStyle as your installer. We pride ourselves on offering fantastic value for money to our customers. Get an instant or get in touch and our team will help you to find bi-folding doors to match your requirements and your budget.